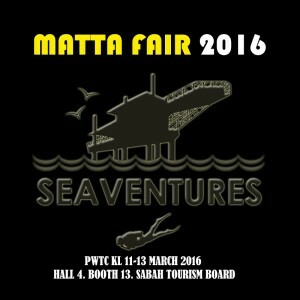 As a support to our local tourism industry and loyal Malaysian divers, Seaventures Dive Rig will again be participating for the Matta Fair. Held annually in March and September at Putra World Trade Centre (PWTC), Kuala Lumpur the first fair for this year will open its door on Friday 11th to Sunday 13th March. During the fair, Seaventures will be offering 15% discount on diver and non-diver packages and 10% off for PADI scuba diving courses. If you are planning to dive with us or would like to find out more details, visit us at Putra World Trade Centre, Hall 4 from 1000hrs to 2100hrs. 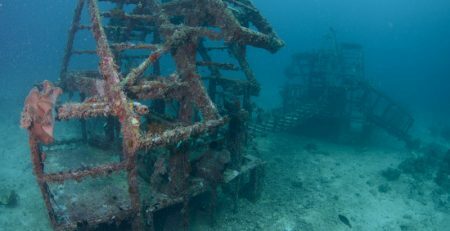 Seaventures Dive Rig will be at booth no. 13 as Seaventures Tours & Travel Sdn. Bhd. To book, a minimum non-refundable booking fee at MYR 200.00 per person. The deposit will be deducted from the package’s total amount due. Travel date would be from May 2016 – March 31st 2017. Giving divers and soon to be divers plenty of planning time for their travels to world renowned Sipadan Mabul, Sabah. During your visit, you may also plan other tours to Sabah with almost 30 other tours and travel agents under the Sabah Tourism Board. 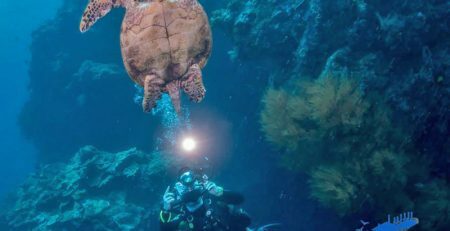 Sipadan permit will be guaranteed on the spot*. *Subject to availability of permit and with stay in Standard Twin-Sharing/Double room.